Save money by purchasing directly from the manufacturer that's been writing the book on replacement engines since 1967. Remanufactured - not rebuilt - utilizing state of the art technology and experienced technicians. All of our remanufactured engines go through a stringent 9-step process that ensures high quality, performance and value today, more than ever, it makes sense to replace your gas or diesel engine with a motor that exceeds OEM specifications. 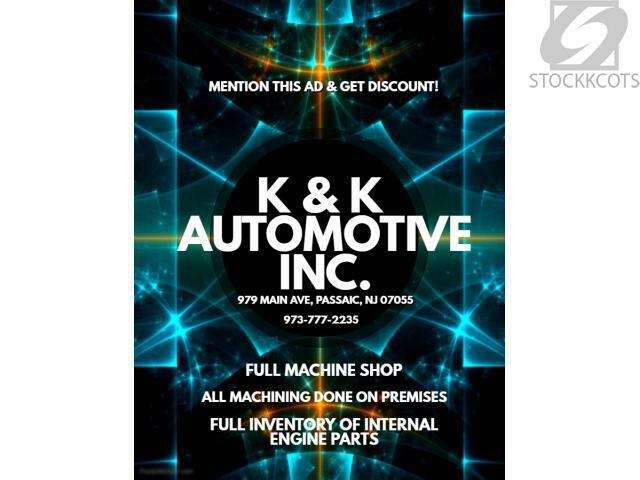 Reliability, performance & economy for autos, trucks, and boats of nearly every application begins with your first contact with K & K AUTOMOTIVE. Call us and find out how good it feels to replace the heart of your vehicle with the best engines in the business. Welcome to Engine Rebuilders NJ! 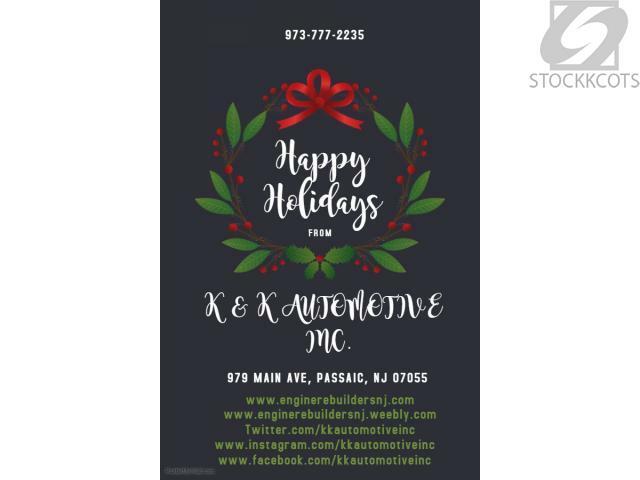 We are a New Jersey based Engine Rebuild company that specializes in the rebuild engine of long and short block engines, cylinder heads and crankshafts. Once we complete our engine rebuilders process they are equivalent or better than new! 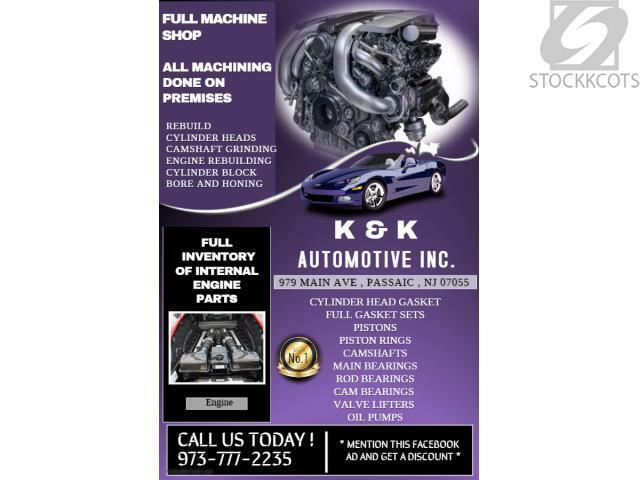 K&K Auto / Engine Rebuilders has been re-manufacturing engines for over two decades and our experience in engine rebuilding and rebuilt engine far exceeds our competitions'. Our in-stock inventory of long and short block automotive, light truck and Truck can expedite your needs in case you can't wait for a full engine rebuild. We can also custom re-manufacture your engine used in the industrial and agricultural applications. Some of our past customers have asked that we remanufacture their own personal engines. 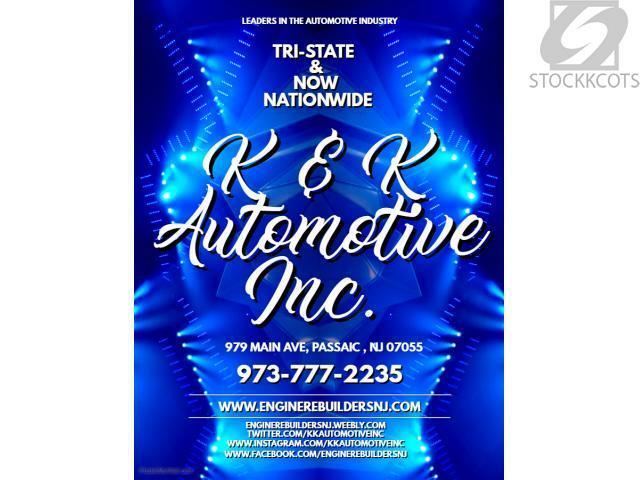 At K&K Auto /Engine Rebuilders has not only accommodated our customers' requests quickly, and in a very cost effective way, but also with pride in workmanship and quality parts with our rebuilt engines. If we don't have in stock what you need, we will get what you need and expedite your rebuild. We have a complete machine shop to service your custom engine rebuilding and repair needs. Wherever you may be in the United States, our price, quality and extensive inventory combined with reasonable and reliable shipping options means that you can get up and running quickly with your rebuilt engine. 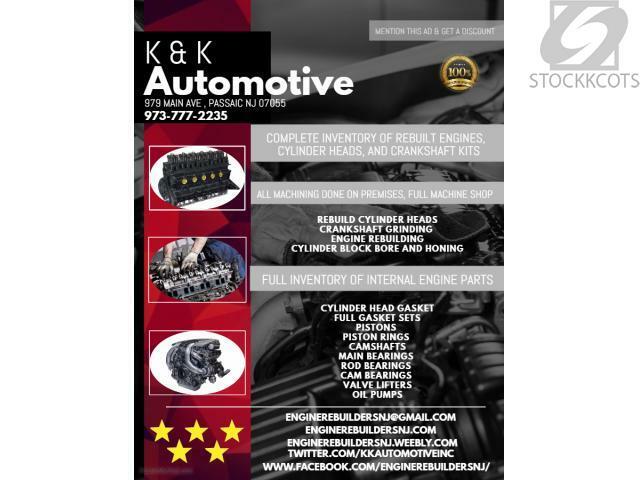 K&K Auto / Engine Rebuilders uses only quality parts and strict workmanship standards to assure our customers of performance and longevity. We have a huge inventory of Engines for sale thru our online store, we also offer in-house Rebuild of your motor or we can sell you a rebuilt motor and just charge you a core charge until you ship us your old motor.